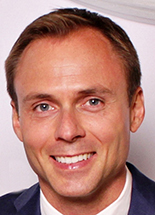 George T. Drost is an attorney with Drost Kivlahan McMahon & O’Connor LLC a prominent law firm in the Chicago area, and a director of the American Friends of the Czech Republic in Washington DC. 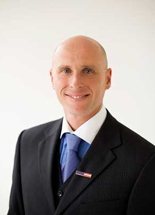 He holds a position as Adjunct Professor at John Marshall Law School in Chicago, and served as Honorary Consul of the Czech Republic for Illinois, Indiana and Wisconsin (2001-2006). He has been instrumental in several initiatives to better relations between the Czech Republic and United States. Mr. Drost concentrates in estate planning, corporate law, and international law. He worked for three years as an attorney for the Internal Revenue Service of the United States Treasury Department. He then held a corporate counsel position before he founded his firm in 1985. 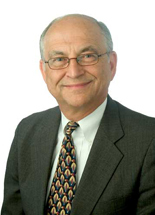 Mr. Drost served as Chair, Arlington Heights Plan Commission; served as Director, CoVest Banc (1987-2003);. He has been elected to serve as President of WorldChicago, a citizen’s hosting and international relations organization. Mr. Drost has been active in numerous charitable organizations including Uhlich Children’s Advantage Network “UCAN” and Advocate Charitable Foundation, Lutheran Life Communities and he was recently elected director of the Presbyterian Homes of Chicago. Jean K. Hruby has been serving the Czech American Community for 20 years in various capacities, developing programs, organizing events, and building relationships. She is 100% Czech American, born and raised in the Czech neighborhoods of Chicago. She has a Bachelors Degree in Communications from Michigan State University, and most recently was the recipient of the Compatriot Grant from the Ministry of Foreign Affairs of the Czech Republic and studied Czech Language at Charles University in Prague for one year. Jean was the Business Manager for 12 years at American Sokol, a Czech-founded non-profit organization that is 150 years old. She is dedicated to increasing trade between the U.S. and Czech Republic, as well as building stronger bridges between the two countries. She serves on the Prague Committee of Sister Cities International Program in Chicago, and is affilliated in various capacities with American Friends of the Czech Republic-Washington D.C., Czech Sokol Organization (COS) Prague, Chicago-Prague Educational Exchange Program, Czechoslovak Legionnaire Organization-Czech Republic, The T.G. Masaryk School, The Moravian Cultural Society and United Moravian Societies, among others. Dr. Martin Nekola, Ph.D. received his doctorate in political science at the Charles University in Prague, Czech Republic. His research is focused on non-democratic regimes, the era of Communism, Czech communities abroad and the East-European anti-communist exiles in the USA during the Cold War. From time to time he participates in the election observation missions organized by the Organization for Security and Cooperation in Europe (OSCE). He is the author of more than two hundred articles and has published eight books, the most recent of which are Petr Zenkl: Politik a člověk (Petr Zenkl: Politician and Man, 2014), Krvavé století (Bloody Century, 2015) and České Chicago (Czech Chicago, 2017). He is also Czechoslovak Talks Project (www.czechoslovaktalks.com/en) consultant, he works closely with the Bohemian National Hall in New York City. 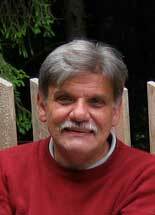 Dominic A. Pacyga received his Ph.D. in history from the University of Illinois at Chicago in 1981. He has authored, or co-authored, five books concerning Chicago’s history, including Polish Immigrants and Industrial Chicago (1991, 2001), Chicago: City of Neighborhoods with Ellen Skerrett (1986), Chicago: A Historical Guide to the Neighborhoods (1979) with Glen Holt, Chicago’s Southeast Side (1998) with Rod Sellers. Pacyga’s latest book is Chicago: A Biography (2009). He has lectured widely on topics ranging from residential architecture, immigration, and racial and ethnic relations, and has appeared in both the local and national media. Pacyga has been a member of the Humanities, History and Social Sciences Department at Columbia College/Chicago since 1984. Dominic A. Pacyga has been a Visiting Professor at both the University of Chicago and the University of Illinois at Chicago. In 2005 he was a Visiting Fellow at Campion Hall, Oxford University. He has been awarded a Fulbright Grant and is teaching in the Institute for American Studies and the Polish Diaspora at the Jagiellonian University in Krakow, Poland during the 2013-2014 academic year. Pacyga has recently completed a book manuscript on the development of the Chicago Union Stock Yards for the University of Chicago Press. Ted Polashek was Born in Berwyn Il. His Mother was born in Czechoslovakia and his father in Chicago to Czech parents. He is Alderman of the 6th Ward for the City of Berwyn and a Firefighter for the City of Cicero. His many other activities include Founder/ President of Chicagoland Czech American Community Center in Cicero, Delegate to Czechoslovak American Congress, United Moravian Dancer/Member, Vice President for Sister City Berwyn/ Hradec Kralove, Liaison for the Theater Bohemia , T. G. Masaryk Czech School Board Member, and Director of the Central District Sokol Honor Guard for Special events including The Annual Commemoration of the Lidice tragedy in Crest Hill, IL. His past activies include Former President and instructor of Sokol Tabor, Former Director of the Czech Oasis/ Houby Day, Executive board Member of “Cermak” Main Street of Berwyn Committee He studied the Czech Language in Dobruska, Czech Republic 2008, and was Grand Marshall for the 2010 Houby Day Parade. Vera A. Wilt is the first American-born member of her family, her parents and siblings having left Czechoslovakia in 1948 out of political necessity. She learned to speak Czech fluently, read, and write the language. She uses those skills in her involvement in many Czech American organizations, as well as in her work as a Financial Services Professional, interpreter/translator, and licensed but non-practicing attorney. 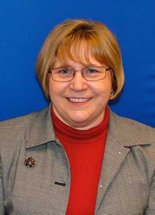 Vera was in management of CSA Fraternal Life (formerly the Czechoslovak Society of America) for 20 years, and is a past director of the Czechoslovak Heritage Museum. 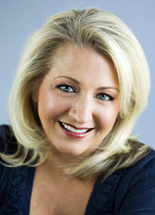 Mrs. Wilt is a village trustee in North Riverside, IL and also president of the North Riverside Library Foundation. She currently is an officer of the Czechoslovak American Congress, and her CSA lodge, and is actively involved in the Bohemian Lawyers Association, Sokol Spirit and the Moravian Cultural Society. Vera is a widow with two adult children.